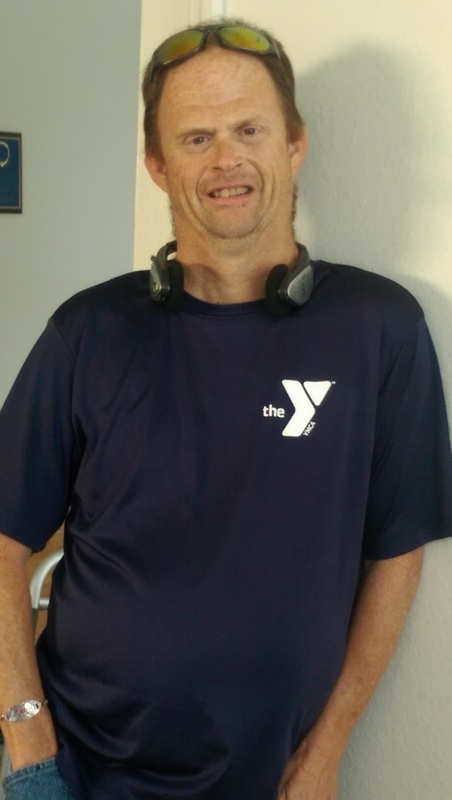 VENICE — Bobby Dawson works at the Venice YMCA. As a veteran employee with 17 years in the maintenance department, he folds towels, fills spray bottles with disinfectant, wipes down the exercise equipment and vacuums the building both upstairs and downstairs. Dawson is a client at Florida’s Agency for Persons with Disabilities. Brad Daily is the wellness director and Dawson’s supervisor. Dawson enjoys having extra money for food, eating at Applebee’s, hanging out with his friends, and watching football when he’s not working. He also enjoys watching the Chicago Bears, Miami Dolphins, and Tampa Buccaneers. Melissa Mazaeda is Dawson’s support coordinator, and she’s very proud of Dawson. He’s integrated into the community. He usually rides his bike around town, but uses the door-to-door bus to go to work and to the Loveland Adult Day Training Program on Thursdays. “Bobby lives in his own place with a roommate and lives his life on his terms,” Mazaeda said. “He’s a hard worker, has a great attitude, and is a good role model because he’s always positive.” Mazaeda added that Dawson comes from a very close family and he’s an example of how much is possible with a good support system.